Our LifeStyle range of flexible lighting solutions are perfect for a wide range of domestic and commercial applications. This Red version of LifeStyle is ideal for adding a coloured halo around plinths, desks and kick-plates. LifeStyle flex 72w is a gel coated (splash proof), IP65 rated flex and it is supplied on a 5m roll. This brighter 72w, gel coated (IP65 rated) LifeStyle Red LED tape is a cost effective and reliable flexible lighting solution perfect for creating a coloured halo effect around coving and coffer features for both domestic and commercial applications. It also adds to point of sale areas creating a bright eye catching feature. 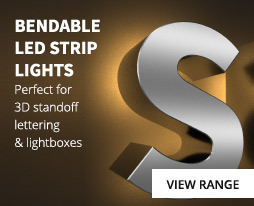 LifeStyle tape is supplied on a 5m roll, it can be cut to length at 50mm intervals and it is fully dimmable and compatible with our range of RF remote and wall mounted controllers including our range of SunRicher products. 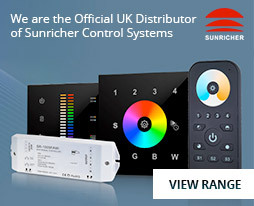 In addition, we stock a variety of DMX512 decoders so that our LifeStyle products can be connected to a DMX system. We’ll deliver our products to your home or workplace, with next day and express delivery options available. We offer a next day delivery service as standard. You can choose from the following delivery options: before 10:30am, before noon & Same day courier service. Free delivery is also available on orders over £250. Please note that pricing information is only available to registered customers. If you have a LED Technologies online account, please login to access the site and view prices. If you do not currently have an account with LED Technologies, you can click here to register for an online account.